What's the Market Really Like in Collingwood? You are here: Home > Blog > Archives > What's the Market Really Like in Collingwood? If you regularly follow the news, you know that the real estate market in Canada and Ontario has had some serious ups and downs lately. While the beginning of the year was a solid seller’s market, with homes being involved in bidding wars and home prices rising faster than buyers could save a down payment, recent Ontario initiatives have cooled it to where this just isn’t really happening anymore. While Toronto’s market is still going strong and at unattainable levels for many buyers, especially first-time homebuyers, the rest of the GTA is seeing a slowing of home sales and while prices are still rising, they aren’t rising as fast. According to Zolo, the average home price for homes sold this summer in Collingwood is $511,000. This is an increase of 32.2% over last year, which is a huge increase. But, it is a 15.2% decrease over the average sold price in the spring. This means that we had a frenetic spring, but the summer isn’t seeing the same. The numbers could also account for which homes were sold during that time period. Four bedroom homes have seen the greatest increases over this time last year, while three bedroom homes are staying almost stable from last year. In the period between April and June there were 29 new listings and 17 homes sold. While there was more inventory than there was sales (a definite change from the beginning of the year where inventory was scarce), Zolo predicts that we’ll see a decrease in both inventory and sales as we move further into the end of the year. In Southern Georgian Bay, home sales have fallen 27% from this time last year already. Overall, home inventory is low and buyers are cautious, so not a lot is going on in the home selling front. Whereas homes were selling as soon as they were put on the market in the early spring and bidding wars were rampant, homes are now spending approximately a month on the market before being sold. The good news for sellers though, is that the selling to listing price ratio is 96%, which means sellers are getting what they are asking for. Should I buy a home in Collingwood? Should I sell a home in Collingwood? While these questions are personal ones, my recommendation is yes. 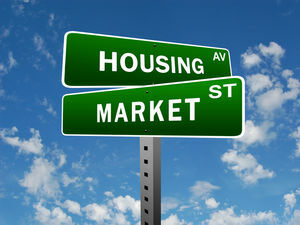 As a buyer, the inventory is continuing to drop and home prices, along with interest rates are rising. It wouldn’t be smart to wait and pay more on your mortgage and have to pick from a limited pool of homes. 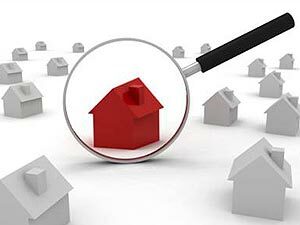 As a seller, while prices are still rising, there may be a time where they will stagnate. As well, with the limited inventory, you have less competition at the moment. 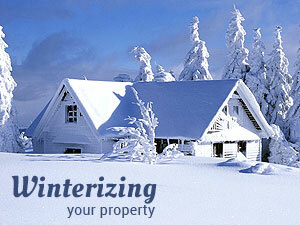 Thinking about selling during the winter months? Winterproofing increases your comfort and adds to the value of your home when it comes time to sell.